A few weeks ago I had the good fortune to meet up with the great Roberto Duran. The legendary four division world champion was the guest of honor at the annual Ring 10 Veteran Boxers Association benefit. It was a rare public appearance for the now 67 year old warrior. Yes, 67! As expected, Duran’s presence electrified the 400 plus fans in attendance. The fighter nicknamed “Manos de Piedre” (Hands of Stone) engaged in 119 bouts and knocked out 70 opponents. While those stats are indeed impressive (especially the number of knockouts) they are not unique. Boxers who accumulated 100 or more bouts were quite common during the first half of the twentieth century. In addition, 55 other pro boxers have knocked out 70 or more opponents. But, in spite of that, Roberto Duran’s record stands out for another reason that very few can match: He is one of only three boxers in the entire history of the sport who fought in five consecutive decades. What qualities did these boxers possess that allowed them to survive for so many years in their brutal profession? I came to the conclusion that the first ingredient had to be a deep understanding of their craft. All three were well schooled in the finer points of boxing technique. That quality was further enhanced by the seasoning they gradually acquired during their first decade of competition. On top of that they had to be flexible enough to make the necessary adjustments as they aged. It also helped that all three had great chins. These boxers weren’t just great athletes—they were very smart athletes. They were able to compensate for deteriorating speed and reflexes by combining experience with superior athletic intelligence and excellent defensive strategies. Even near the end of their careers they were rarely knocked out or subject to a sustained beating. It was a method utilized to great success by two former champions who stretched their careers to the maximum and are among the dozen master boxers who just missed the five decade mark: Welterweight champion Jack Britton (1904-1930) and light heavyweight champion Archie Moore (1935-1963). Both used an amalgam of those four skill sets—athletic intelligence, flexibility, superior defensive strategies, and vast experience— to keep them in the game long after their contemporaries had retired. I could have added another master boxer to the list, the former heavyweight champion Jack Johnson. But despite his having fought in five consecutive decades (1897-1930) there were several gaps in his record. Johnson remained active up to his winning the title in 1908. But from 1911 to 1930 there were seven years in which he did not engage in a single prizefight. I felt this was too much inactivity, even for a five decade man, so I decided that only a fighter with not more than three separate years without a fight could qualify. Those ground rules would have applied to George Foreman as well. Big George fought in four separate decades (1964-1997) but was idle from 1978 to 1986, so even if he had fought into a fifth decade that lengthy stretch of inactivity would disqualify him. Kid Azteca: Professional career 1929 to 1961. Won-lost-draw record: 192-47-11, including 114 wins by knockout . A legend in Mexico, and one of that country’s greatest fighters, the 5’8” 147 pound welterweight had his first pro bout when Herbert Hoover was president, Babe Ruth was still belting out home runs for the Yankees, and Gene Tunney was heavyweight champion. When, 32 years later, he entered the ring at age 47 for his last pro bout Mickey Mantle and Roger Maris were the home run kings for the Yankees, Floyd Patterson was heavyweight champion, and John F. Kennedy was president. But longevity is not the only item that distinguishes Azteca’s boxing career. He was a top ten title contender for seven years. Between October 1933 and May 1941 (40 months) Azteca was ranked as high as the #1 world welterweight contender by The Ring magazine. 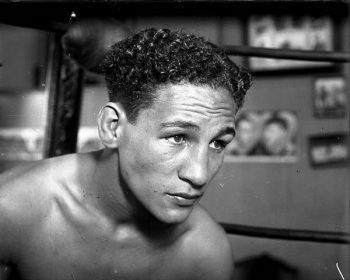 Kid Azteca earned his rating with wins over contenders Joe Glick, Young Peter Jackson, Eddie Kid Wolfe, Baby Joe Gans, the Cocoa Kid, Izzy Jannazzo, Morrie Sherman and future middleweight champion Ceferino Garcia (two out of three). In 1939 he lost a close decision to future welterweight champion Fritzie Zivic. After losing twice to Zivic in return matches Azteca finally gained a victory in 1947. Other notable opponents were Jackie Wilson, Baby Casanova, Bep Van Klaveren, Leon Zorrita and former lightweight champion Sammy Angott. Most of his fights took place in Mexico City but he also appeared in Los Angeles, Texas and South American rings. There are no gaps in his record—he engaged in at least one or more fights every year from 1929 to 1961. Throughout his life Kid Azteca remained hugely popular among his countrymen and even appeared in several movies produced in Mexico. Unfortunately there are no films of him in action. Nevertheless, I don’t think it would be a stretch, considering his career and high rating, to say that Azteca possessed an outstanding defense. Fighters who are “catchers” or who engage in too many wars are worn out quickly and cannot sustain a career anywhere near that length of time. 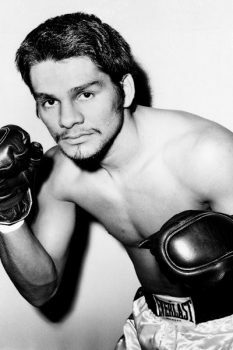 Roberto Duran: Professional career 1968 to 2001. Won-lost record: 103-16, including 70 wins by knockout. The street urchin who emerged from the slums of Panama to become one of the sport’s greatest and most charismatic champions turned pro at the age of 16. Five decades later, on July 14, 2001, in the final fight of his career, the 50 year old legend lost a unanimous 12 round decision to 39 year old Hector Camacho. 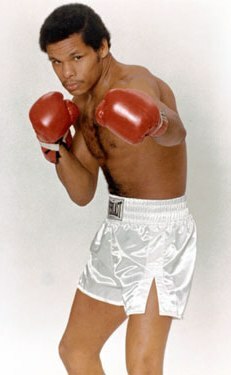 The Roberto Duran who lost to Camacho was many years passed his prime. He was not the same fighter who took down Ken Buchanan, Estaban DeJesus, Sugar Ray Leonard, Ray Lampkin, Pepino Cuevas and Iran Barkley. Nevertheless, he could still display the subtle boxing moves and ring smarts that kept him from being dominated by much younger opponents. Duran’s nascent career benefited tremendously from the expert teaching of his two old school master trainers Freddie Brown and Ray Arcel. These two professors of pugilism had nearly 100 years of combined experience. They answered his desire to learn as much as possible about his craft, smoothed out the rough edges, and made him even more dangerous. They taught him the tricks of his trade and the result was that Duran eventually developed into the type of throwback fighter that is virtually extinct today. 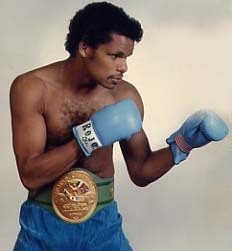 Watch a video of any Duran fight after 1974 and you will see that even in his dotage he never gets trapped on the ropes, often rides with and slips punches aimed at his head and performs subtle feints to lure his opponents into making mistakes that are paid for with damaging and accurate counter punches (especially to the body). As he moved up in weight and as he aged Duran’s punch was not as devastating as it had been during his eight year tenure as lightweight champion. As a result, he had to rely more on his strategic boxing skills. 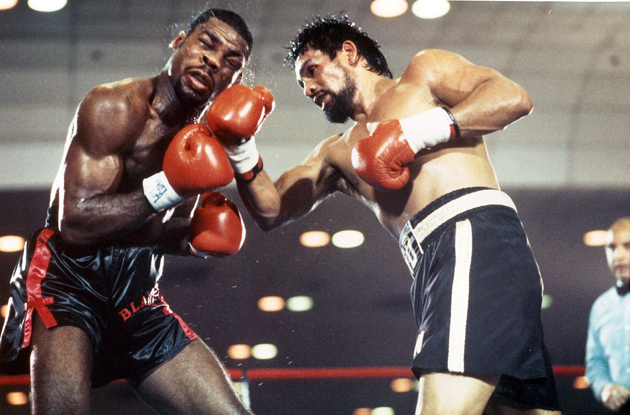 To watch Roberto Duran fight is to experience a textbook lesson in the lost art of boxing. He is one of the few genuine ring greats who still walks among us. Saoul Mamby: Professional career 1969 to 2008. Won-lost-draw record; 45-34-6, including 18 wins by knockout. It is virtually impossible to go through an entire professional boxing career and expect to come through relatively unscathed. But if anyone came close to achieving such a goal that person would be Saoul Mamby, which is all the more remarkable since he had his last professional fight at the age of 60! Just as there are born punchers I believe there are also born boxers. What I mean is that some neophyte boxers seem to grasp the concepts of on balance defensive boxing more readily than most. Perhaps it’s a genetic disposition that tells them it is better to give than to receive. Saoul Mamby never thought it a good idea to receive a punch in exchange for the opportunity to land one of his own. He did not seek a knockout victory, although if presented with the opportunity his solid right cross was capable of dropping an opponent. His basic strategy involved keeping his hands up to protect his chin, using a busy left jab to keep an opponent off balance, and always keep moving. He never threw a right hand punch unless he deemed it safe to do so. It was a style that didn’t win fans but it kept him from taking a sustained beating. Jim Corbett would have approved. Mamby’s defensive prowess was put to the test when he faced a prime Roberto Duran on May 4, 1976 in a non-title 10 round bout. The lightweight champion tried mightily to make Mamby his 49th knockout victim. Duran won the unanimous decision but he did not come close to scoring a knockout. Six months later Mamby faced another test when he crossed gloves with the formidable former champion Antonio Cervantes who had knocked out nine of his previous ten opponents. 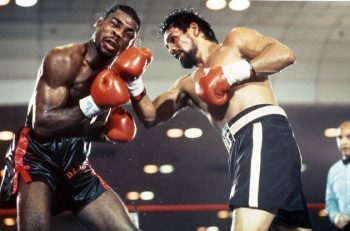 Like Duran, Cervantes could not find his elusive opponent’s chin and had to settle for unanimous decision. His first attempt to win a title occurred in 1977 and resulted in a controversial split decision loss to the WBC Super Lightweight champion Saensak Muangsurin. The fight took place in Thailand, the champion’s home turf. Mamby believed he was the victim of a hometown decision. Three years later, in his second try for the 140 pound title, he challenged Sang Hyun Kim of Korea. Once again he found himself fighting in his opponent’s backyard. Not willing to take any chances on a hometown decision the 32 year old challenger displayed a more aggressive style and was intent on ending the fight before it went to a decision. In the 14th round, Mamby saw an opening and landed a powerful right cross on Kim’s jaw that dropped him for the full count. Winning a world title seemed to energize Mamby and in his first defense he stopped former lightweight champion Estaban De Jesus in the 13th round. Four more successful defenses followed before he lost a controversial 15 round split decision to Leroy Haley. After outpointing Monroe Brooks he was given a chance to regain the title from Haley but lost another close decision. In 1984, in his final title challenge, he fought Billy Costello for the super lightweight championship and lost a 12 round unanimous decision. By the 1990s Mamby was losing more often (he won only five of his last 17 bouts) but, win or lose, he continued to frustrate opponents. Mamby finally announced his retirement on May 19, 2000 in Greensboro, North Carolina. He was 52 years old. Eight years later Mamby attempted a comeback. After being told that no boxing commission would dare license a 60 year old prizefighter Mamby found a place that would—the Cayman Islands. On March 8, 2008 he lost a 10 round decision to a 31 year old boxer with dismal 6-26 won-lost record. As usual Saoul emerged unscathed. As of today there are no plans for a comeback. 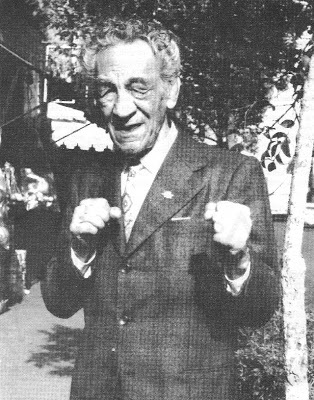 Mike Silver is the author of The Arc of Boxing: The Rise and Decline of the Sweet Science and Stars in the Ring: Jewish Champions in the Golden Age of Boxing. Both books are available on Amazon.com. Roberto Duran meets Brighton & Hove ABC from South Coast Productions on Vimeo.